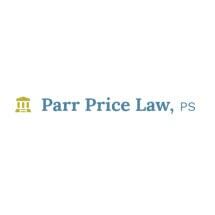 At Parr Price Law, PS, law firm in Olympia, our uniquely skilled attorneys address the legal needs of a broad range of Washington state clients. We focus exclusively on important practice areas such as estate planning, probate, elder law and litigation issues. If a legal matter touches your family, finances and future, our problem-solving lawyers can handle it in a timely, thorough and efficient manner. Our estate planning clients receive the facts and guidance they need, that can lead to sound decisions about their families' financial security. Our probate practice is especially full-service, addressing matters ranging from will contests to assisting and representing Heir Search organizations. Families are comforted by our support in the elder law field, when a senior loved one needs long-term care planning or has been abused, physically or financially. We are holistic in our thinking, customizing our representation to fit your specific concerns. To this end, we can access networks of specialists such as certified financial planners and geriatric care managers — a team approach that gets results. Simply stated, this is our accomplished, versatile legal team's mission in every case we handle — we are committed to helping our clients. You will find our law office to be a comfortable and pleasant place to conduct business. We want it to feel more like your living room than a law firm. It is no accident, given our ability to include a pet trust in your estate planning, that gentle dogs roam our office area. And we support our immobile clients by arranging appointments outside the office. We welcome the opportunity to serve you in any way we can. Contact us today by phone or email message to schedule an initial consultation.